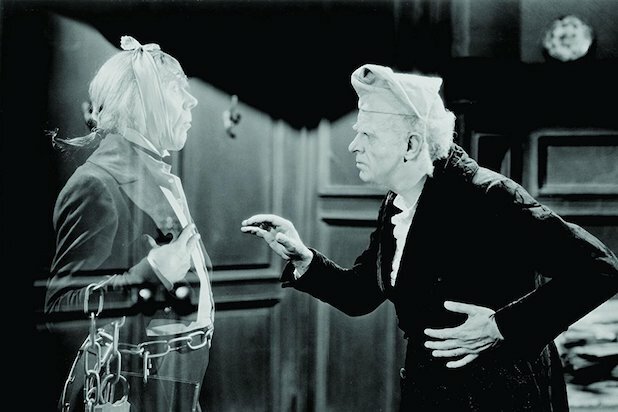 In 2018, Charles Dickens' classic novella "A Christmas Carol" turns 175, but its utility as a springboard for movie and TV adaptations shows no signs of slowing down. It's a classic story of regret and redemption, and its lead character Ebenezer Scrooge offers an arc from misery and cruelty to love and kindness that's catnip for any actor or actress. 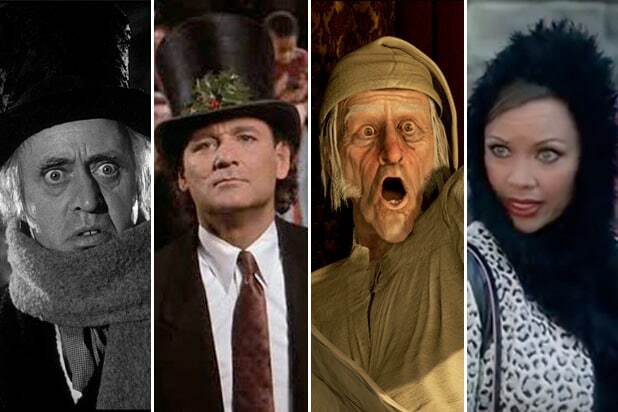 (I watched a sleighful of Scrooges for my book "Have Yourself a Movie Little Christmas" and am doing you the service of keeping the Barbie and "All Dogs Go to Heaven" versions off this list.) Here's a look at 20 performers who have put their own unique spin on "Bah! Humbug!" Seymour Hicks, "Scrooge" (1935) There were a few silent versions, but this was the screen's first talking Scrooge, in a version that's early-talkie through and through, from the technical limitations (the camera doesn't move much, and there's not even an attempt to show Marley's ghost) to the big, theatrical performances, Hicks' included. 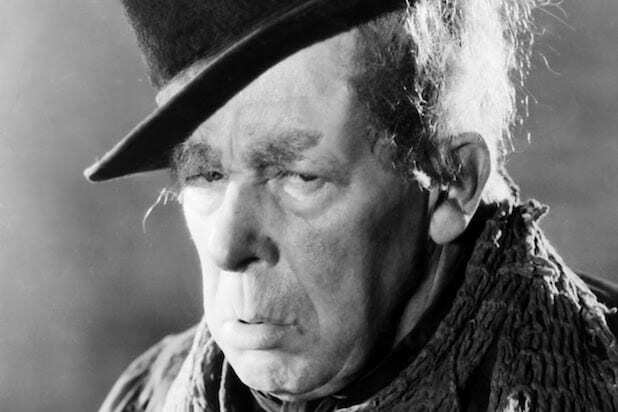 Reginald Owen, "A Christmas Carol" (1938) Owen was best known for comedy, so there's a sprightliness to his take on the role, even though his Ebenezer is certainly a crabby old skinflint for much of the film. This 69-minute feature from MGM is a good non-animated starter version for kids. Basil Rathbone, "The Stingiest Man in Town" (1956) This made-for-TV musical version rarely surfaces these days, and that's a pity, particularly since Rathbone's patented brand of hammy villainy suits the character so well. If you can't find this one, check out Rathbone's equally Scrooge-y turn in the Christmas-set comedy "We're No Angels" (1955). Mister Magoo (voiced by Jim Backus), "Mister Magoo's Christmas Carol" (1962) Even though the character of Mister Magoo was kindly (if terribly near-sighted), the producers of the very first animated holiday program produced for TV wanted his name value, so the set-up is that Magoo is playing Scrooge on stage in a Broadway musical (with songs by the legendary Jule Styne); the results are delightful. Albert Finney, "Scrooge" (1970) A personal favorite, at least partly because Finney is one of the only actors to play the character both as a young man and as the craggy old coot he later becomes. Seeing him start out full of vitality before becoming stooped with greed makes the story all the more poignant. Scrooge McDuck (voiced by Alan Young), "Mickey's Christmas Carol" (1983) Well, talk about a performer who was born to play the role. McDuck works his trademark Scottish-cheapskate-isms into what has become a favorite version for generations of kids who grew up watching it. George C. Scott, "A Christmas Carol" (1984) This lush made-for-TV version (directed by Clive Donner, who edited the Alastair Sim version) is anchored by a fearsome and funny turn by Scott, who seems to delight in Scrooge's penny-pinchery more than most. Where other performers shout, he traffics more in quiet menace. Bill Murray, "Scrooged" (1988) As network exec Frank Cross, Murray oversees vulgar and idiotic holiday-themed programming while ignoring his family and overworking his put-upon assistant (played by Alfre Woodard). There's no middle ground on this broad performance; either it works for you -- and for many, it does -- or you'll change channels. Michael Caine, "The Muppet Christmas Carol" (1992) Caine makes for a fearsome old skinflint, and what makes the performance work is that he never behaves as though there's anything strange about the fact that his co-stars are a frog and several mice and a bear and a pig and a...whatever Gonzo is. Susan Lucci, "Ebbie" (1995) The "Scrooge is a ruthless career woman" sub-genre begins here, and Lucci is one of the best at playing a heartless climber faced with learning some hard lessons at Christmastime. Her performance as a cold-hearted department-store magnate is one of the TV movie's strongest assets. Cicely Tyson, "Ms. Scrooge" (1997) You would think that an actress as formidable as Tyson would take to the role of cruel moneylender Ebenita Scrooge like a goose to stuffing, particularly since she's reteamed with John Korty, who directed her in "The Autobiography of Miss Jane Pittman." Alas, she overplays (and sounds jarringly like W.C. Fields). Patrick Stewart, "A Christmas Carol" (1999) On stage, Stewart played all the roles, but in this made-for-cable film he's a younger (but no less mean) Scrooge than usual. His delight in rolling Dickens' original dialogue around in his mouth is infectious. Vanessa Williams, "A Diva's Christmas Carol" (2000) This playful transposition of the story into the world of turn-of-the-21st-century pop -- the Ghost of Christmas Future is an unflattering episode of VH1's "Behind the Music" -- benefits greatly from Williams' delightful hauteur as the titular diva. Tori Spelling, "A Carol Christmas" (2003) You might be shocked to learn that Spelling is surprisingly effective as the host of a tacky daytime talk show who gets knocked down a peg after visits from ghosts played by William Shatner and Gary Coleman. This movie's tongue may be firmly in cheek, but its heart is in the right place. Kelsey Grammer, "A Christmas Carol: The Musical" (2004) This made-for-TV production must have looked good on paper, between Grammer's mellifluous hambonery to a talented supporting cast (Jane Krakowski, Jason Alexander, Jesse L. Martin) to original songs by Alan Menken and Lynn Ahrens, but it never coalesces. And neither does Grammer's performance. Emmanuelle Vaugier, "It's Christmas, Carol!" (2012) The phrase, "Well, she's no Tori Spelling" isn't uttered too often, but it's a fair critique of Vaugier's featureless performance in a TV-movie so low-budget that the late Carrie Fisher's Marley-esque character has to take on all the ghost duties single-handedly. Christopher Plummer, "The Man Who Invented Christmas" (2017) In this fairly tedious movie about the writing of "A Christmas Carol," Scrooge mainly hangs around to harangue Dickens (Dan Stevens) about how long it's taking him to finish the story. But Plummer is so delectably diabolical that you'll wish someone would just build a straightforward adaptation around him.